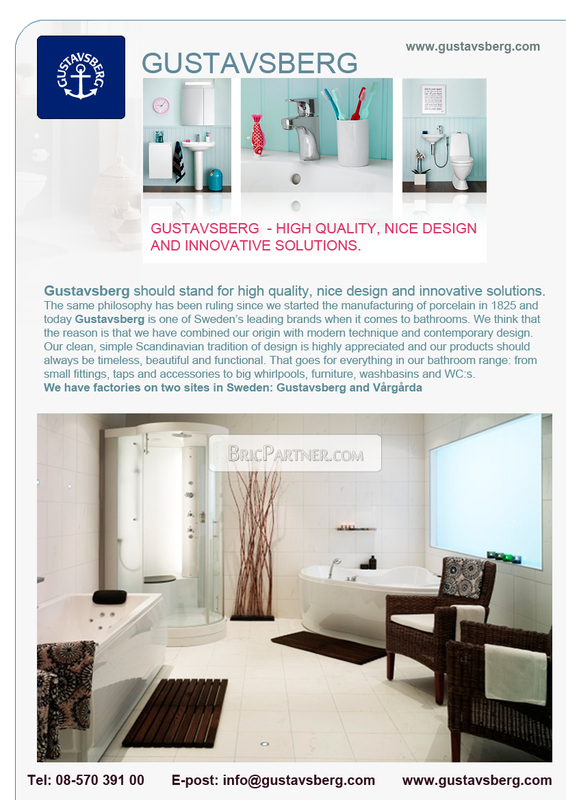 Last autumn, Gustavsberg launched their new bathroom series Nautic. Now, Gustavsberg is rewarded with the iF Packaging Award for the innovative and distinctive packaging solution for toilets that was developed with Nautic. Last autumn, Gustavsberg launched their new bathroom series Nautic. Now, Gustavsberg is rewarded with the iF Packaging Award for the innovative and distinctive packaging solution for toilets that was developed with Nautic. An environmental friendly solution, more easy to sort and recycle, visible in the stores, and easy to carry – something that is appreciated by the professionals. The prestigious international prize, iF product design award has been distributed since 1953. In 2008, a new award, iF Packaging Award, was introduced as packaging design has grown in importance, mainly due to increased economic and environmental awareness. This year the international jury judged 203 contributions from 144 participating organizations in 24 countries, and appointed winners in six categories. 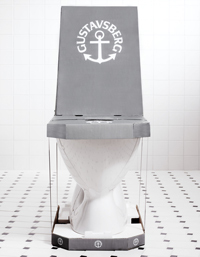 Gustavsberg’s WC from the Nautic-series is rewarded in the category "Sales packaging". Decisive criteria were the choice of materials, level of innovation, functionality and brand profiling. The objective with the new packaging was to minimize environmental impact, improve the carrying comfort and use the marketing potential of the packaging – to show that is a WC from Gustavsberg. The replacement of the traditional wooden pallet by Styrofoam minimizes the material use and recycling efforts. Due to the weight reduction of the packaging by 86% and the ergonomic grips in the double folded cardboard combined with the strapping band, it is easier to carry. An opening makes assembled parts inside visible so there is no need to open and destroy the packaging in order to verify its contents. White label and grey, tailored packaging distinguishes the WC at the PoS. When developing Nautic, Gustavsberg took account of the professionals requirements on making packages easier to carry and easier to sort for recycling. The award-winning Nautic packaging harmonizes well with the new EU directives which impose stricter requirements on recycling and reuse of construction and demolition waste. Today, around three million tonnes of construction and demolition waste is being thrown in Sweden. By 2020, at least 70% of the building and demolition waste should be recycled or reused. Today the figure is 50%. – For us, it is important to be able to contribute to a more environmentally sound building industry, says Stefan Ljung, product manager at Gustavsberg. That we succeeded in combining ergonomics and environmental awareness, and at the same time exploiting the marketing potential in the packaging makes us, of course, very proud. We share this price with everyone involved; Myra Industriell Design, creator of Nautic and the packaging and Smurfit Kappa Group that produced the packaging.